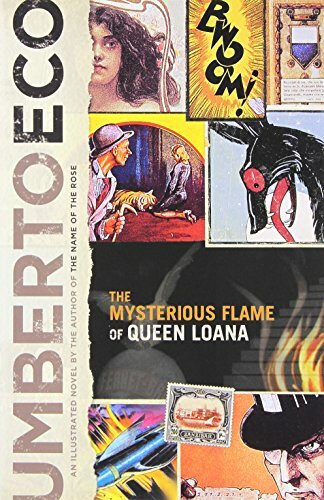 An aging book dealer suffers a peculiar form of amnesia, in Umberto Eco's novel. Yambo is an Italian man, roughly Eco's age, who awakes from a mysterious coma to find that he can remember everything he's ever read -- but can't remember anything about himself or his family. He then sets about to reconstruct those memories of himself by poring over memorabilia going back to pre-World War Two days.